Hot stamping is a common image transfer method, but that doesn’t mean it’s always the best choice. When it comes to comparing hot stamping and digital heat transfer, the question is what kind of results you are looking to achieve. If you want a finished product that will look vibrant, beautiful, and eye-catching then digital heat transfer is the best and only choice. Generally used for plastic and paper applications, hot stamping is a dry image transfer method which uses pre-dried ink that is then applied to a product using high heat. Popular for security applications, hot stamping can also be used to apply foil or embossing. Why should I choose digital heat transfer over hot stamping? The benefits of digital heat transfer are many! First, it can be used to affix labels to virtually any type of material. Where hot stamping is generally reserved only for paper and plastic applications, digital heat transfer can be used for those materials as well as metal, glass, vinyl, leather, polycarbonate, ceramic, and much more. If your product packaging relies on more than just paper and plastic, then digital heat transfer will be able to handle it all. 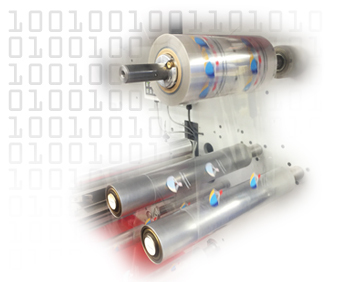 Additionally, digital heat transfers are able to include variable data, which means that you can make each image you print unique with identifiers such as QR codes or bar codes. Digital heat transfer is also ideal for short runs as the process requires no set-up costs. 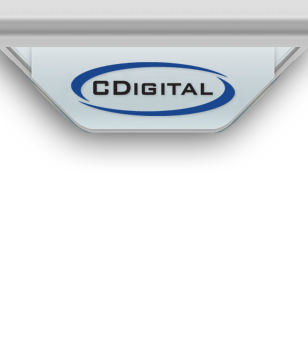 At CDigital, we keep our order minimums low so even small runs are affordable. No matter how small your run, your film will be printed in four colors plus white to ensure a photo-quality finish. Digital heat transfer is capable of producing complex, multi-color images that look great. Lastly, if you are concerned with turnaround times then digital heat transfer is the obvious choice. Most film orders are shipped the day after the order was placed, which means you can get straight to labeling your products rather than waiting around for your hot stamped items to be shipped. At CDigital, we are committed to keeping turnaround times as low as possible so that you can start using your film quickly. With the ability to house your artwork – including variable data - on our server, we are able to streamline the processing of your order and in some situations, we can even skip processing altogether by working directly with your art department.